7mm Remington Ultra Mag (RUM) 140 Grain Nosler AccuBond- Inspired by the Lazzeroni proprietary cartridges, Remington introduced the 7mm Remington Ultra magnum in 2000. The 7mm RUM is based on the .300 Remington Ultra Magnum (1999) which is in turn based on a grossly modified version of the unbelted 404 Jeffery’s case. The RUM was designed to produce ultra high velocities to meet the growing demand for long range hunting rifles and cartridges. The 7mm RUM is an outstanding performer on medium game, producing absolutely emphatic kills out to 800 yards and clean kills out to and beyond 1000 yards at which range speed of killing is dependent on target resistance to aid bullet expansion. 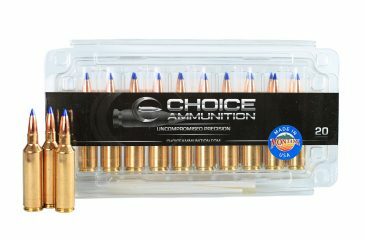 Choice Ammunition has taken our 100% hand-loading techniques and produce an extremely accurate, highly dependable round for the 7mm RUM in this load. Our loading tolerances are only matched by passionate hand-loaders in their own loading rooms. 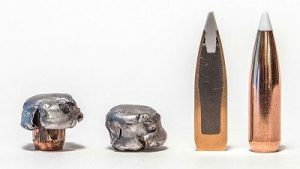 Consistent seating depths, powder charges and proprietary formulas of Choice Ammunition, make this 140 grain Nosler AccuBond round the best you can buy on the commercial market today. 7mm Remington Ultra Mag (RUM) 162 grain Hornady ELD-X- Inspired by the Lazzeroni proprietary cartridges, Remington introduced the 7mm Remington Ultra magnum in 2000. The 7mm RUM is based on the .300 Remington Ultra Magnum (1999) which is in turn based on a grossly modified version of the unbelted 404 Jeffery’s case. The RUM was designed to produce ultra high velocities to meet the growing demand for long range hunting rifles and cartridges. The 7mm RUM is an outstanding performer on medium game, producing absolutely emphatic kills out to 800 yards and clean kills out to and beyond 1000 yards at which range speed of killing is dependent on target resistance to aid bullet expansion. 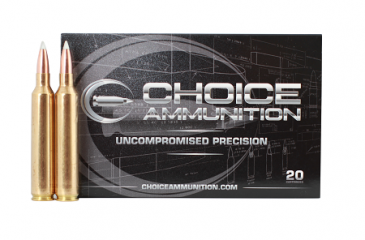 Choice Ammunition has taken our 100% hand-loading techniques and produce an extremely accurate, highly dependable round for the 7mm RUM in this load. Our loading tolerances are only matched by passionate hand-loaders in their own loading rooms. Consistent seating depths, powder charges and proprietary formulas of Choice Ammunition, make this 162 grain Hornady ELD-X round the best you can buy on the commercial market today. 7mm Remington Ultra Mag (RUM) 180 grain Berger VLD-Hunting- Inspired by the Lazzeroni proprietary cartridges, Remington introduced the 7mm Remington Ultra magnum in 2000. The 7mm RUM is based on the .300 Remington Ultra Magnum (1999) which is in turn based on a grossly modified version of the unbelted 404 Jeffery’s case. The RUM was designed to produce ultra high velocities to meet the growing demand for long range hunting rifles and cartridges. 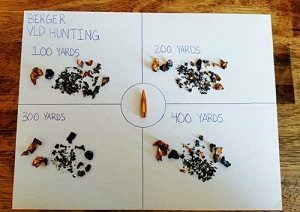 The 7mm RUM is an outstanding performer on medium game, producing absolutely emphatic kills out to 800 yards and clean kills out to and beyond 1000 yards at which range speed of killing is dependent on target resistance to aid bullet expansion. 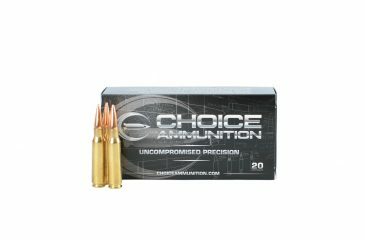 Choice Ammunition has taken our 100% hand-loading techniques and produce an extremely accurate, highly dependable round for the 7mm Ultra Mag in this load. Our loading tolerances are only matched by passionate hand-loaders in their own loading rooms. Consistent seating depths, powder charges and proprietary formulas of Choice Ammunition, make this 180 grain Berger VLD-H round the best you can buy on the commercial market today.